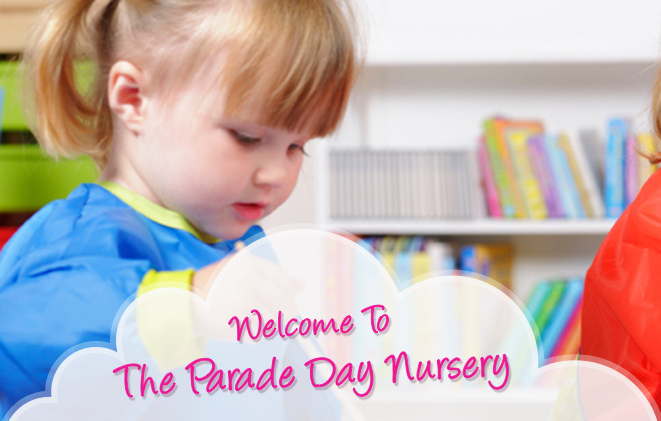 The Parade Day Nursery is a well established nursery of 33 years in the Abington area. The nursery caters for children aged from 3 months until school age, in well equipped spacious rooms. As a parent you will want to make sure the choices you make are the right one’s for your child. The Parade Day Nursery provides a professionally planned environment, developing each child’s character and nurturing their strengths allowing the children to grow not only in stature but also from within. The Parade Day Nursery prides itself on the excellent partnership it has developed over many years, with its parents/carers. In July 2015 the nursery was inspected by Ofsted. We achieved ‘Outstanding’ with very positive comments from the Ofsted inspector, eg ‘Teaching is inspirational’, ‘Children settle in to the nursery very quickly. They are exceptionally well cared for’, ‘The KeyPerson system is exceptional’. This truly demonstrates the quality of our work, our level of commitment and our professional standards. Want to know more about The Parade Day Nursery and our approach? View The Parade Day Nursery gallery.